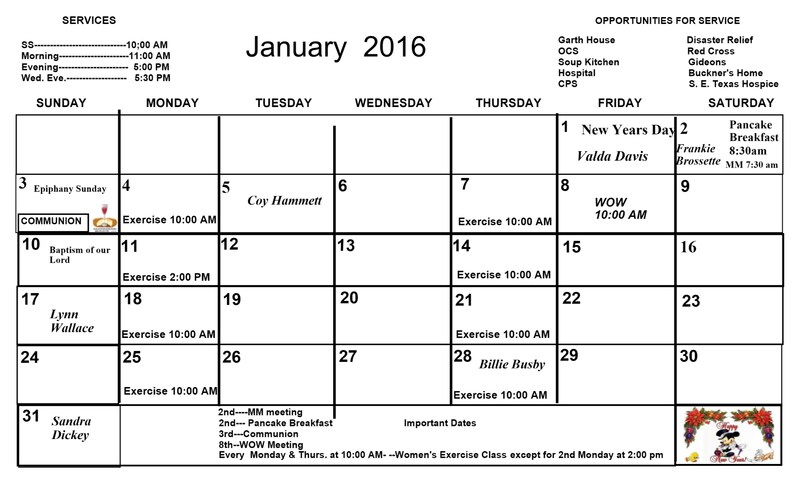 Our Monthly Newsletter is here. 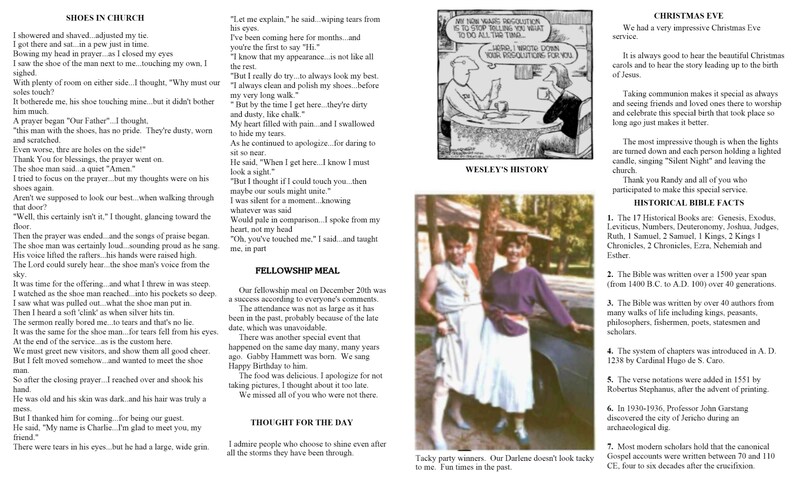 Our Editor and Chief Jan Day, has done another great job for Wesley UMC. Just click on the image/page you want to read and it should expand automatically to fit your screen. 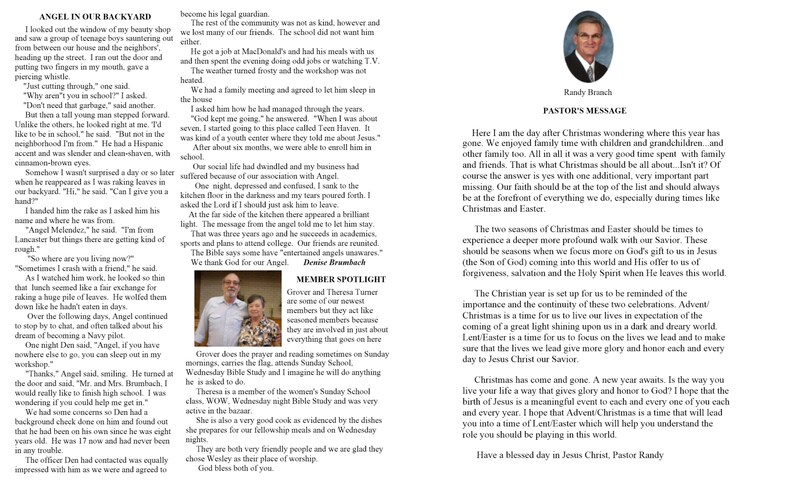 Hope you enjoy reading and receive a blessing from these words. Have a blessed New Year in all you do and who you are. Remember to show the face of Jesus to the World. Your face may be the only witness to God’s love for this world that people may see all year long . 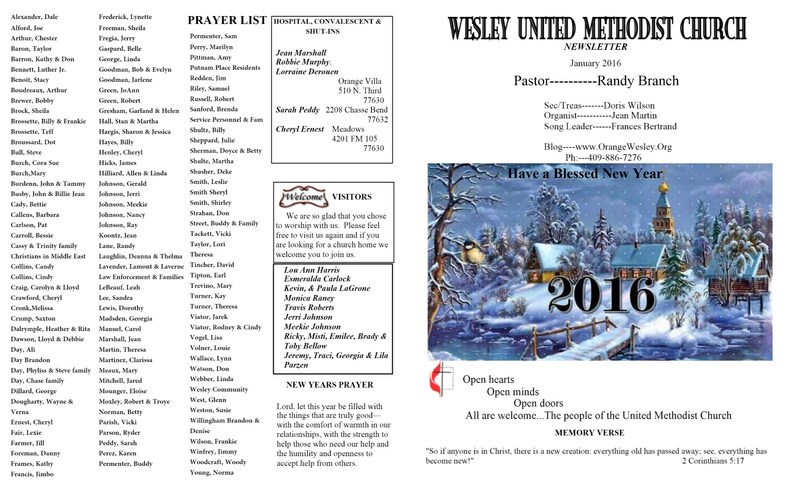 This entry was posted on January 2, 2016 at 1:39 pm and is filed under Wesley United Methodist Church. You can follow any responses to this entry through the RSS 2.0 feed. You can leave a response, or trackback from your own site.